Author Jan Wong will read from Apron Strings on as part of the UNB Saint John Lorenzo Reading Series on Sunday, Dec. 2. Apron Strings has been shortlisted for the 2018 Writers’ Federation of New Brunswick Book Award for non-fiction and longlisted for the 2018 RBC Taylor Prize. Jan Wong knows food is better when shared, so when she set out to write a book about home cooking in France, Italy and China, she asked her 22-year-old son, Sam, to join her. While he wasn't keen on spending excessive time with his mom, he dreamed of becoming a chef. Ultimately, it was an opportunity he couldn't pass up. On their journey, Jan and Sam live and cook with locals, seeing first-hand how globalization is changing food, families and cultures. In southeast France, they move in with a family sheltering undocumented migrants. From Bernadette, the housekeeper, they learn classic French family fare such as blanquette de veau. In a hamlet in the heart of Italy's Slow Food country, the villagers teach them without fuss or fanfare how to make authentic spaghetti alle vongole and a proper risotto with leeks. In Shanghai, they home-cook firecracker chicken and scallion pancakes with the nouveaux riches and their migrant maids, who comprise one of the biggest demographic shifts in world history. Along the way, mother and son explore their sometimes-fraught relationship, uniting — and occasionally clashing — over their mutual love of cooking. 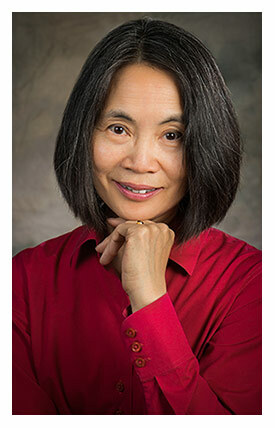 Jan Wong is the author of five non-fiction bestsellers, including Out of the Blue and Red China Blues, named one of Time magazine's top 10 non-fiction books of 1996. (Twenty years later, the book is still in print.) She has won numerous journalism awards and is now a professor of journalism at St. Thomas University. A third-generation Canadian, Wong is the eldest daughter of a prominent Montreal restaurateur. Jan Wong will read from her book on Sunday, Dec. 2, at 2 p.m. in the Whitebone Lounge, Thomas J. Condon Student Centre. All are welcome to attend.